The heart of a Tesla, or, really, any electric car, is its battery pack. Engineering a pack that’s reasonably compact, light and structurally sound while holding as much electricity as possible is no joke, so it’s always interesting to rip these things open and see what makes them tick. So far, no one (well, outside of Tesla) has done this to a Model 3 pack. 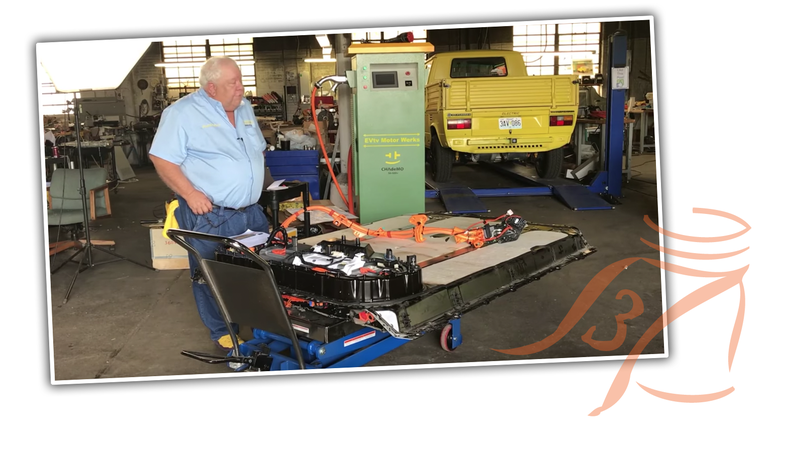 Well, that is, until a few weeks ago when the team at EVTV Motor Verks got their hands on a wrecked Model 3 battery and found some really surprising things. Maybe this is a reference to Leyden jars, or other early jar-like batteries? • The battery has a lot of related hardware integrated into it: DC-DC converter, charger, battery management system controller, junction box, and all protection hardware are now integrated into the battery pack itself, on a big hump. On a Model S, these components are spread around the car itself. This means that the Model 3 itself is actually pretty lean on hardware; it has the drive motor, power steering motors, dash computer and equipment, and not much else. Most of the big stuff is now in the battery pack. • It has much larger modules than the Model S or X’s battery pack. The Model 3 is using four long ‘planks’ of cells, with the two outer ones containing 23 cells (each of these has 46 small cylindrical cells in it) and the two inner ones containing 25. The smaller modules weigh 191 lbs and the larger ones weigh 207 lbs. • The Battery Management System controller appears to use custom microchips made just for the Model 3. Nobody seems to know much about these, at least not yet, but it’s telling that Tesla had their own chips fabricated instead of using off-the-shelf components. It’s all pretty amazing. I’m wondering if all this integration of components into the battery pack will give Tesla a much more universal platform to build cars on? I guess we’ll see!